It was in 1800, Dubai already had signs to become a Mecca fro business and investors. 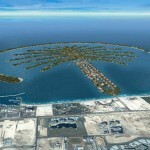 The leader Sheikh Maktoum bin Hasler al Maktoum chose to create a better economic growth in the region, to give relief to tax in certain countries. In the modern version, there is no tax on either the individual – or company revenues, and it is one of the criteria which help to create the big momentum in Dubai. It should be mentioned that the persons or companies who have moved to Dubai to stay within the so called Free Zone. If a company is importing goods within the various free zones, will not pay customs duty, it only happens if a company is sending goods out of Dubai area. Within the Free zones you are allowed to have 100% private ownership, which means that you will be responsible for creating a network in Dubai and responsible for their own marketing. What it means for investors and business owners? Although the free zone provides all attractive schemes for the investors benefit, they are not all the same. Therefore it is essential that you have glimpse of over the facilities offered by each, one by one. There are lots of guidance on the internet for the investors and the facilities may change from time to time it is best that you read the updated information about free zones and taxation in Dubai. If you are planning a business in Dubai there are some few good things you should know about Business in Dubai. 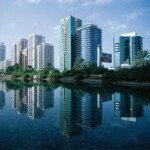 If you want to set up a Business in Dubai’s Free Zone, you will need a big capital; the city is not for small business. The sponsor should be a UAE national, it is highly suggested that you get a strong sponsor with lots of contacts and influence, which will lead to a successful business to start and run. You have to pay ongoing fee and percentage of the profit or both. Once you have a sponsor, you are required to register your business; there are different types for different business. You must understand that there are different free zones in Dubai and they have different aspect of the city’s growing economy. Free Zone is a unique way to attract foreign investment in Dubai. Free Zone in Dubai is considered “offshore” therefore they are unable to trade within the city without an agent or distributor.